A couple days ago I celebrated my 21st birthday again lol. I decided to go to a black tie event at the Embassy of Italy. There was food wine, opera, fox trotting, break dancing and line dancing all in one night! I definitely plan to attend more Embassy events in DC. 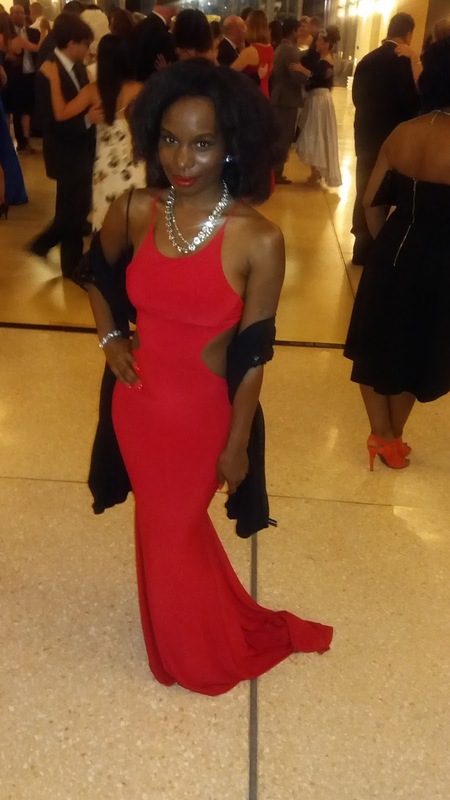 For the occasion I wore a long red cutout gown that I purchased on Poshmark! The train was so beautiful but hard to walk in. So I had to hold the gown, or just stand and look pretty. Either way it did not stop my fun!